There may not be anything as beautiful as Colorado in the fall, right around the time the leaves start turning. Avery and Logan’s Estes Park wedding at the YMCA of the Rockies was timed perfectly to capture the golden Aspen leaves and last remnants of warm weather. I knew I would like these two from the moment we first spoke on the phone. I usually suggest we meet for a cup of coffee, but they suggested a beer at Dry Dock instead, which happens to be a favorite place for me and my husband. In fact, we frequently play Geeks Who Drink trivia there! They rented a nearby cabin for the bridal party to get ready. As usually happens, when I arrived the women were fussing about in the bathroom while the men drank beer and played foosball in the basement. After some hugs (and a lot more cheering) we headed to the ceremony site. Note to brides: having a sunroof on the way to your wedding is pretty awesome. One of my favorite moments of this, or any, wedding happened at Logan and Avery’s ceremony. 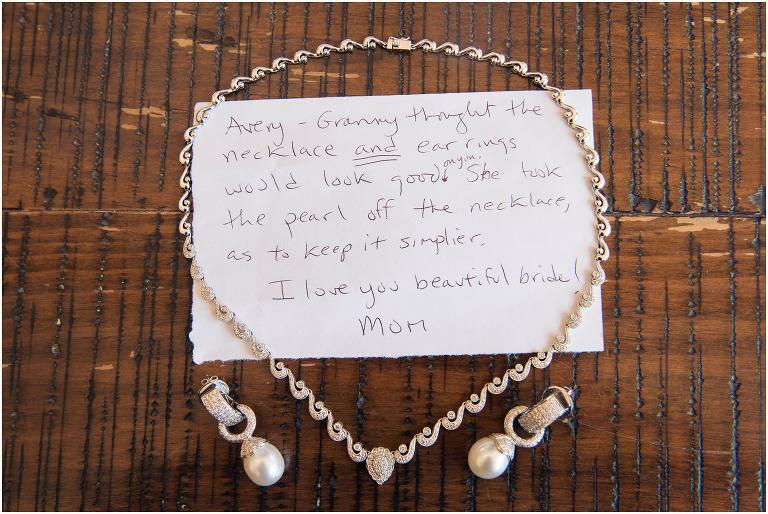 Instead of having a little girl sprinkle flower petals down the aisle, they had Avery’s grandmother be their flower girl. Perhaps it was because I had lost my own grandmother the previous month, but I was seriously having a tough time holding back the tears. At least I wasn’t the only one. The rest of the ceremony absolutely encapsulated Avery and Logan’s relationship. The mountain backdrop was perfect for a couple who spends so much time outdoors. There were many traditional elements that represented the faith they share. And, as is fitting for the couple who wanted to meet over beer, they poured a black and tan to symbolize their unity! For such a high pressure situation, the layers turned out remarkably! Of course, one of the biggest reasons to have an Estes Park wedding is to take advantage of the beautiful scenery. The early fall provided gorgeous, just turning golden, Aspen trees. When we returned to the banquet hall at the YMCA, Logan and Avery took a few minutes to practice their first dance before entering. Logan told me he was nervous to dance in front of so many people. Most of all, he was scared he would step on her dress. Lo and behold… he came within mere inches of stepping on the train as soon as they walked in. But look at those cat-like reflexes! Are you looking for a YMCA of the Rockies or Estes Park wedding photographer? Let’s get in touch!